For many years, I hated Jerry Lewis. The only time I'd ever see his face on TV would be on the Labor Day telethon, which acted as a constant reminder that school would begin the next day and I'd have to return to the hell hole of a school created by my idiot ex-principal. Then two things happened: we had to start reporting before Labor Day, thanks to our idiot ex-union leader Randi Weingarten, and I changed schools and got away from the hell hole. I'm not 100% sure how it will go, but I put The Nutty Professor in my Netflix queue. Call me an optimist. Enjoy yourself and thanks for remembering that some of our colleagues, to use the analogy of WWII, are in Nazi occupied Europe and still others in Stalags. I have just been released and I hope to make it to "Switzerland" someday. have a great year. I know how you feel about the admins. For the first time I am liked by them too and it feels great. Yes, they have plenty of faults and my antenna is up, but I am still feeling good. 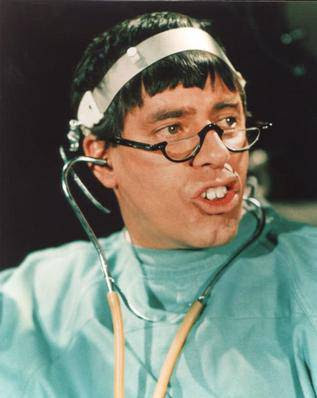 I still hate Jerry Lewis- but for a far different reason. As a wee tyke, I wanted to go see the movie Cinderella. It was sold out- so my parents took me to se "The Nutty Professor" instead. I was scarred for life. Have a great year, full of peace and lack of administrative bulls--t.
I gotta say Jerry's charms have always eluded me. Man, I can't believe he's still doing that telethon. I can't remember the last time I saw it.